Dwarkesh Group is promoted by Mr. Devendra Patel with an aim to deliver excellent and quality homes. We specialize in the construction of high quality custom homes and projects. We are devoted to the highest level of service throughout each customer’s project, from concept to completion. We are devoted to all sorts of commercial and residential construction projects. The Dwarkesh Heaven’s project is ready for possession. Our success is credited to the establishment of dedicated business units for each aspect of our real estate services. At present its focus is on the current project of Dwarkesh Heaven’s-2 in Ahmedabad. We are committed to “make your dream come true”. We offer a wide range single and multi family floor plans using modular and panelized construction. 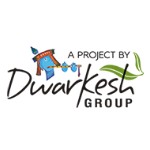 Our upcoming projects are Dwarkesh Bunglows and Dwarkesh Mall. Our developers and builders can help you to locate your perfect dream home.